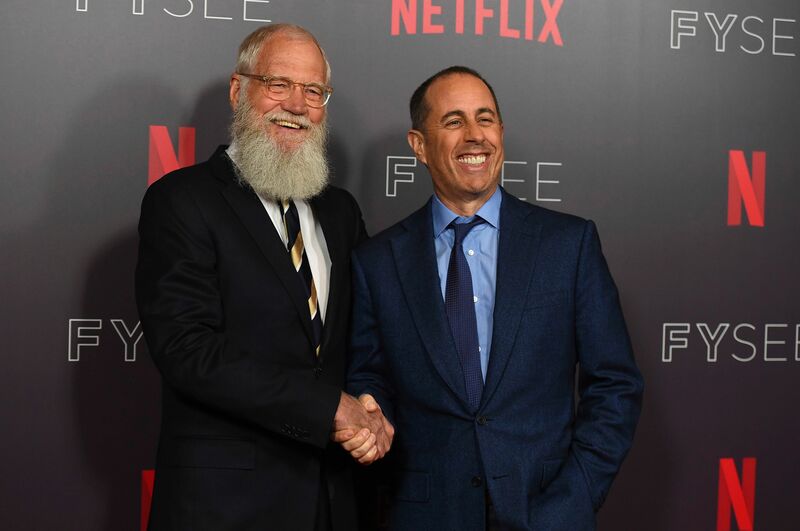 Between the two of them, David Letterman and Jerry Seinfeld have over a half century combined at the apex of the television industry. But on Monday night at Netflix’s Emmy-themed “FYSee” space in Hollywood, the two had a spirited conversation that ran the gamut of their respective careers, trading their thoughts on some more current issues along the way. One of those subjects was Michelle Wolf’s recent set at the White House Correspondents’ Dinner, which drew raves from the “My Next Guest Needs No Introduction” host. As video cameras rolled on the For Your Consideration event, the evening went roughly similar to an episode of Letterman‘s new TV show. One main difference: Seinfeld is the only guest he’s had in this stage of his career who’s used to being the one in charge of the conversation. The evening went back and forth for much of the night, often with each comedian trying to get the other to admit how important they were to the landscape of American comedy. As the two played keep-away for most of the evening when being pushed on the more tender subject of their careers, Seinfeld got Letterman to open up a little bit about the end of his “Late Show” tenure.